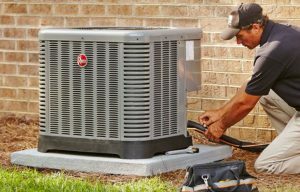 Should I Replace or Repair My Air Conditioner Equipment? If you’ve ever found yourself wondering, should I repair or replace my air conditioner? How long will my air conditioning last? Those are questions everyone has pondered at some point. Now, I will answer all the important questions regarding air conditioning replacement vs. repairing the old unit. 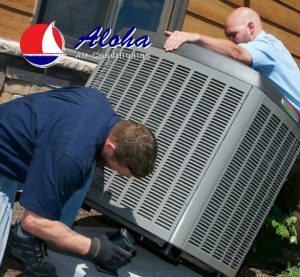 There are a lot of good reasons to replace an air conditioner, but it should never be your only choice, as everything can be fixed. If old things couldn’t be retro-fitted or repaired there would be no antique cars on the road. And there are plenty of those, that being said it may not be a good idea to repair an old unit or there may be numerous other reasons that might make replacing the old ac system with a newer model. Newer model air conditioners have come a long way in technology, in ways of efficiency and comfort. 1. If you are paying too much in power – Today a new air conditioner can lower a power bill by so much that in some cases, we can finance a new system for $80 a month and then we lower the power bill by $100 which is like saving $20 a month and getting a new system and warranty. If you are one of the ones paying too much in power than keeping your old system is a waste, it’s just math. 2. Your unit is 12 or more years old – Technology has come a long way in 12 years we can make your home 10 times more comfortable with stable temperatures using new 2 stage technology. And energy efficiency has doubled in 12 years. 3. You have a bad compressor and your system is over 8 years old – Compressors are very expensive and are the hearts of air conditioners. If your compressor fails consider replacement as some compressors are 50% the cost of a whole new system and the new system would have 5 or 10 years warranty vs. a 1 year warranty on a replacement compressor. And after a replacement compressor, the new one usually doesn’t last as long as the original because any blockage or other failing parts are already worn starting on day one of your new compressors life. 4. Your coil is rusted – If your coils start rusting and leaking, fixing a leak is only a Band-Aid as rust means another leak will occur guaranteed. 5. 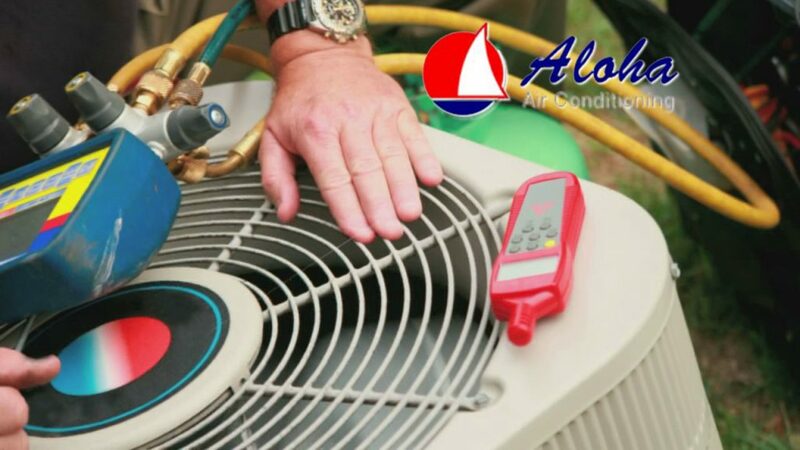 Your home has hot or cold rooms – If you have rooms that are always hotter or cooler than other rooms certain times a year, it may be caused by improper duct balancing or from an improperly sized air conditioner. Either way consider this when deciding whether to repair or replace? 6. If your air conditioner takes r-22 Freon you may want to consider replacement – The E.P.A. has deemed r-22 Freon deadly to the ozone. New systems are using r-410A which is ozone safe but also a new r-410A system will blow colder air for less electricity making it the green choice for many reasons. R-22 systems are coming more costly to repair due to the difficulty and price of obtaining r-22 after the government regulations. I won’t make a list for why to keep your old unit because; if none of the reasons above apply to you then you should just fix or keep your old unit. But when faced with a decision to repair or replace you should simply know all the benefits of replacement and then decide if it makes sense to you at that time. 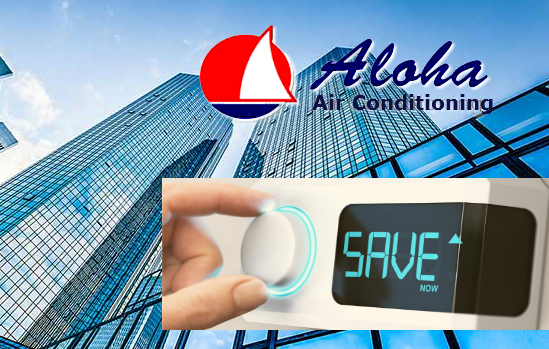 A new air conditioner can lower the energy consumption by as much as 60% depending on your situation. A variable speed system will circulate air through the entire home eliminating the need for fans and it will do it with only 80 watts of power. A Variable speed system even out temperatures from room to room – imagine never having a hot spot, room or flash. There you have it, replacing an air conditioner can benefit you by providing a more stable temperature in the home and lowering a power bill by 60% but if your air conditioner is already installed right and all your rooms are same temperature and your power bills are already low then you’re in good shape. But don’t forget to get a routine maintenance check-up because if your machine is ok now, we want to keep it that way. Why are Energy Assessments needed for Businesses? Due to the rapidly rising energy costs plus the revisions of the stricter US environmental regulations businesses must now seek immediate energy reduction solutions. Today organizations and many building owners who control air conditioning systems have statutory obligations and duties to now revise the operation and maintenance of air conditioning systems to help most importantly save $$$! Today’s energy assessments will enable you to meet requirements of Energy Performance of buildings regulations of 2018. This means that regular inspections should be undertaken ensuring that outputs of 12kW of comfort cooling on any site is monitored and improved.